Most of the Dongles are available with Locked SIM, but their are many cellular service providers which gives 3G service at lower price. Hence I prefer you to Use Unlocked 3G dongle. I Think you must be knowing about Locked and Unlocked 3G dongle. Locked Dongles are dongles which can’t be used by any other SIM or other service Provider such as Airtel Dongle, Idea Dongle This are locked Dongle can’t be Used by any other service Provider. So today will give you some of the Unlocked 3G Dongle. The E3121 by Huawei is a device that gives its users the advantage of using the service of the operator that they can choose Such as Idea, Airtel etc. The buyers can select the data plan according to their choice. The customers can even use the SIM card of their mobile handset. Key features of Huawei E3121 it support Internal Antenna, HSDPA and HSUPA Support, 32 GB Memory Card etc. You can also use it as Pendrive if your Internet Plans are not activated. Micromax MMX 35 3G Dongle is one of the best 3G Dongle in India. 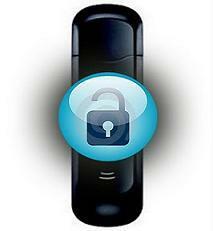 Micromax MMX 35 3G Dongle comes with many features Like Phonebook and SMS, HSDPA and HSUPA support and Calling Facility. The E303C by Huawei is a device that gives its users the advantage of using the service of the operator that they can choose Such as Idea, Airtel etc. The buyers can select the data plan according to their choice. The customers can even use the SIM card of their mobile handset. Key features of Huawei E303C it works on All 2G and 3G SIMs, also gives Better Coverage with Voice Call Support. iBall 3G Wireless Modem dongle is Compatible with 2G/3G/3G+ network. iBall 3G dongle has Automatic installation and also support phone book. If you are Having any More Unlocked 3G Dongle then Please Comment Below. If you enjoyed the content please share it with your friends and followers.